News that Apple lost its computer sales lead in the education market came from a report issued by Dataquest. While it is spun as an Apple failure, the news was actually more about Dell’s success. With computers taking off, Dell’s strategy of selling cheap PCs led to a doubling of its sales. Shipments jumped from 77,000 in the second quarter of 1998 to 163,000 in the second quarter of 1999. Apple, meanwhile, increased sales from 101,000 to 125,000 computers. However, since total sales to U.S. colleges, schools and universities rose at an enormous rate, Apple’s market share dropped from 22.7 percent to just 16.5 percent. Today, Apple falling to second place in the education market barely seems worth commenting on. iOS devices now generate approximately 70 percent of the company’s revenue, dwarfing Mac sales. Apple’s world was different in 1999, though. While people rightfully praised Jobs for returning Apple to profitability and launching the iconic iMac G3, he took fire for ignoring one of the company’s traditional strongholds. Much more than business, education always proved a strong market for Apple. At one point, the company controlled more than 50 percent of sales to schools. In fact, after leaving Apple, Jobs initially started NeXT as an educational computing company. However, that ambition faded quickly after he raised the price point of the NeXT Computer well beyond what most campuses could pay. When Jobs returned to Apple, he focused on the consumer and professional markets. That made people in education (faculty, not students) feel left out in the cold. For evidence, check out this 1998 interview between Jobs and a young, very inexperienced reporter for The Chronicle of Higher Education. In it, Jobs gets prickly about the declining number of Macs on college campuses. As often proves the case with Jobs’ second act at Apple, things eventually turned around. In particular, Apple’s iBook and iMac DV product lines helped the company immensely in the education market. 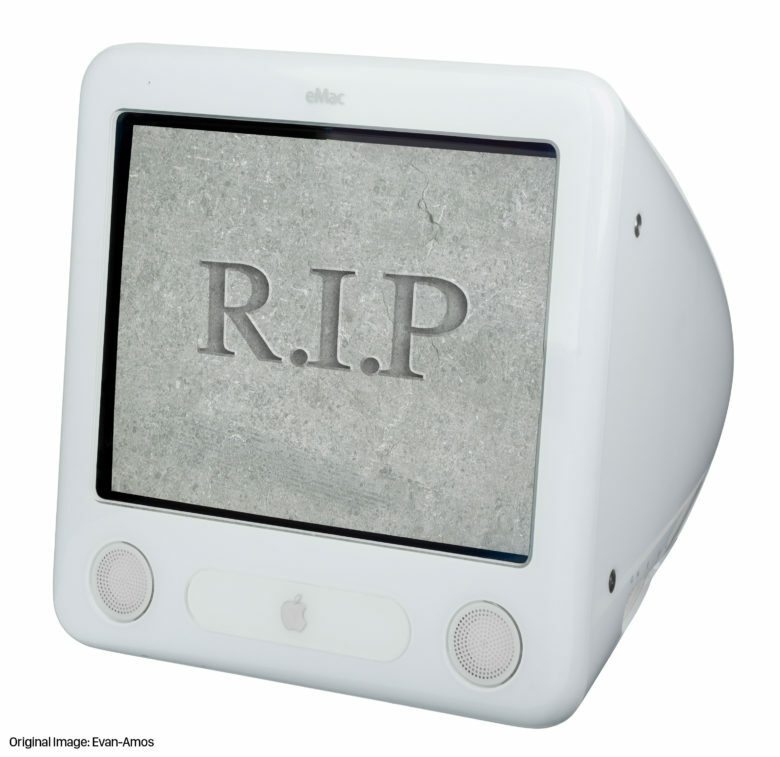 A few years later, Apple launched the eMac — specifically targeted at schools — and achieved wide penetration on campuses. In 1999, Jobs was simply getting Apple’s house in order before moving on to conquer a new market. The other part of the equation was price. At the time, the lowest-priced Mac sold for around $1,400, while PCs cost less than $1,000. The two machines weren’t necessarily comparable, but for school administrators the decision often came down to pricing. Still, it’s fascinating to consider that there was once a point — before the iPod, iPhone and the like — when losing education sales was taken as proof positive that Apple’s strategy was failing. Did you use Apple computers at your high school or university? Leave your comments below.